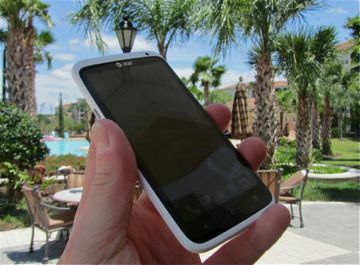 The HTC One X from AT&T is a whopper of a phone. It takes every feature to the Nth degree in hopes of attaining smartphone perfection. It comes close. I like the hardware a lot. It is solid, light, and resistant to the trials and tribulations of daily life. The screen is colorful, bright, and rich. The radio performance was good across the board. The camera software is amazing, and the results match the experience of taking the pictures. The messaging tools are great, but the calling and contacts tools are still too much like they were in Sense 3.0. Neither Android 4.0 nor Sense 4.0 are perfect. They never will be. Overall, the One X is an excellent effort from HTC. It's easily the best hardware to come from HTC in the last year. The One X clearly jumped to the top of the smartphone hill at AT&T's stores. It's "the one" to get if you're an Android fan.